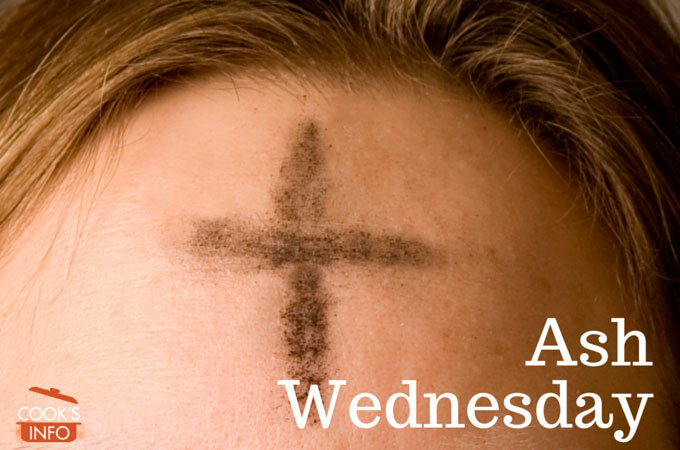 Ash Wednesday is the start of the fasting period known as Lent in the Christian Church yearly calendar. The day of Ash Wednesday is a day of repentance. Palm crosses from the previous year’s Palm Sunday are burnt to produce ashes used to mark church goers foreheads as a sign of penitence. All eggs, dairy, and meat in the house had to be used by before today. Fish was on the approved list of foods for the Lent fasting period, so a traditional British dish for Ash Wednesday was fish pie.